Is this the beginning of the ultimate anti-BJP collective? Lalu is taking the fight to the BJP and how! Irrespective of the truth behind the multiple graft allegations against Rashtriya Janata Dal (RJD) chief Lalu Prasad Yadav, the Bharatiya Janata Party (BJP) is clearly orchestrating a campaign against him. However, far from cowering down, Yadav is thundering louder than ever and is planning to stir up a massive storm against the BJP. RJD's proposed mega-rally is three months away and it is already gathering support from bigwigs in the opposition. The fact that it is a motivated and organised campaign is clear from the chronology of events. First, BJP leaders made corruption allegations against Yadav, then media outlets with clear BJP links carried out exposes against him. And now, central agencies like the CBI and the ED are reportedly raiding properties said to be linked to him. Counter-allegations made by RJD against Sushil Kumar Modi, BJP leader in Bihar, have not found any currency with the same media outlets and the central agencies. Several others having links with the BJP and accused of corruption are being protected by agencies and are not being tried in the court of public opinion either. There is no outrage on grounds being made to put a lid on Karnataka's huge illegal mining scam. Agencies are planning to let mining baron and former BJP leader Gali Janardhan Reddy go scot-free. The CBI probe in Madhya Pradesh's Vyapam scam has proved to be no better than the ham-handed job done by the state police. There is no major headway yet and there have been no media exposes on the scam itself or the nearly 50 deaths associated with it. The only scams, it seems, are the ones allegedly done by Lalu, P Chidambaram, Arvind Kejriwal and other leaders in the opposition. In this environment of organised and sustained anti-opposition campaign came RJD's national executive meet in Bihar earlier this month. Yadav announced the upcoming rally, to be held on 27 August in Patna's Gandhi Maidan, at the meet and promised that it will be a historic one. He also declared that the rally's slogan will be 'BJP hatao, desh bachao' (Remove BJP, save the country). A galaxy of opposition leaders are to be invited, from Congress President Sonia Gandhi to West Bengal CM Mamata Banerjee; from Odisha CM Naveen Patnaik to former Haryana CM Om Prakash Chautala; and from former UP CM Mayawati to former PM HD Deve Gowda. Yadav promised that he will leave no stone unturned to seek unity of “secular forces” against BJP's surge. 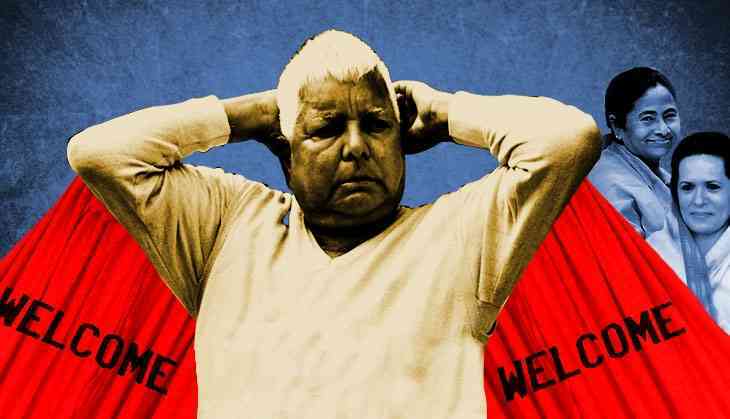 “My name is Lalu and is I pity for such intimidators,” he declared. 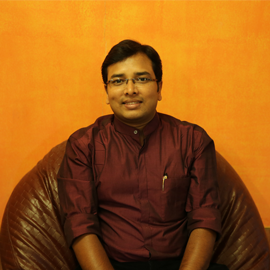 Gandhi has also reportedly agreed and so has Bihar CM Nitish Kumar, Yadav's ally. The timing will be opportune because it will come just after the Presidential polls, thus giving the opposition another event to display its unity. The RJD founder-president is among the oldest BJP-baiters in the country's polity. His staunch criticism of the Ram Mandir agitation and his bold decision to order LK Advani's arrest in 1990 is well-remembered. He never joined the NDA, unlike his present ally and former foe Nitish Kumar. All of this makes his strategy to take the BJP head-on very exciting. It is quite possible that even his arrest before the mega-rally may not be able to thwart the momentum he is trying to achieve. All eyes will be on the number of parties and leaders he succeeds in drawing to the event. TWEET THIS Lalu is being attacked by the BJP relentlessly but he is not taking it lying down Is this the beginning of the ultimate anti-BJP collective? Lalu is taking the fight to the BJP and how!